It was barely 18 months ago that Rupert Murdoch told the world he would soon stop charging for access to the Wall Street Journal's website. Now he says free content should be abolished. Murdoch, fall 2007: "We expect to make [WSJ.com] free... instead of having one million [readers], having at least 10-15 million in every corner of the earth." But a free WSJ.com became one of many plans Murdoch talked about immediately before taking over the Journal and changed his mind about later. 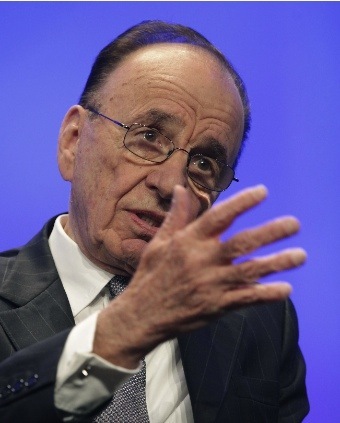 The News Corp. chairman decided to continue to make most of WSJ.com available only subscribers. "People reading news for free on the Web, that's got to change," said Murdoch speaking at The Cable Show, an annual cable television industry event, in Washington, D.C.
After seeing the value of his newly-acquired Journal shrink drastically in the span of barely a year, it's no wonder Murdoch wants, for once, to reverse the course of history. But it's safe to say that even uber-mogul Murdoch will never stop the world from reading free news on the Web. Ever.